NewsGuard is the latest group of censoring, fact-checking, bias pontificating hypocrites to come down the pike. Many believe this group will save the people from their own ability to discern truth from error, all while touting that they are the beacons of truth and the determiners of who is transparent. But, over and over, as I have researched NewsGuard, I see bias and ties … and yes, George Soros. While NewsGuard explicitly claims that they have “trained journalists who have spent [their] careers dedicated to the profession,” allowing you to “see the credentials and backgrounds of everyone responsible”, and they have an “ethics of conflicts of interest policy,” while being “totally transparent about how they make all of their decisions,” the reality is that they are not being transparent about to whom some of their investors are tied. Listed on their investor’s page is John S. & James L. Knight Foundation, Inc.
That name may not mean anything to you, but they have a history of taking money from none other than George Soros’ Open Foundation Society. Many rumors and conspiracies surround George Soros but with those put aside, it cannot be denied that he’s been behind a large majority of the left’s agenda and fight against the right. In other words, he’s firmly planted on the left and has made it his mission to destroy conservative thought. He’s been behind the funding of protestors at Kavanaugh’s hearings, in order to help them get out of jail, he’s given $246M to help partners organize the feminists’ Women’s March, given to Fusion GPS, the firm behind the Steele dossier, and he’s helped fund Media Matters, an organization who has a stated mission of “comprehensively monitoring, analyzing, and correcting conservative misinformation in the U.S. media”, on top of a plethora of other radical left organizations. “The Open Society Institute Campaign for Black Male Achievement partnered with the John S. and James L. Knight Foundation to host its first annual Transformational Leadership Retreat. The retreat was conceived with the premise that “transformational times require transformational leadership.” Since May 2008, the CBMA has grown to include 26 grantee partner organizations—a diverse community of educators, youth leaders, policy advocates, community organizers, academics, and philanthropists. The Campaign for Black Male Achievement is acutely aware of the work its grantee partners are engaged in on a daily basis to improve the life outcomes of black men and boys and saw the need for a valuable space for reflection and renewal. “A new campaign launching today will highlight the stories of black men and boys—celebrating and supporting them as they lead others in strengthening their communities. “The Impact of Digital Technology on Journalism and Democracy in Latin America and the Caribbean is the report from the Austin Forum on Journalism in the Americas, held at the University of Texas, Austin, in September 2009. “While the Sandler Foundation provided ProPublica with significant financial support, it also has received funding from the Knight Foundation, the Carnegie Foundation, MacArthur Foundation, Pew Charitable Trusts, Ford Foundation, the Carnegie Corporation, and the Atlantic Philanthropies. ProPublica and the Knight Foundation have various connections. For example, Paul Steiger, president of ProPublica, is a trustee of the Knight Foundation. In like manner, Alberto Ibarguen, the president and CEO of the Knight Foundation, is on the board of ProPublica. 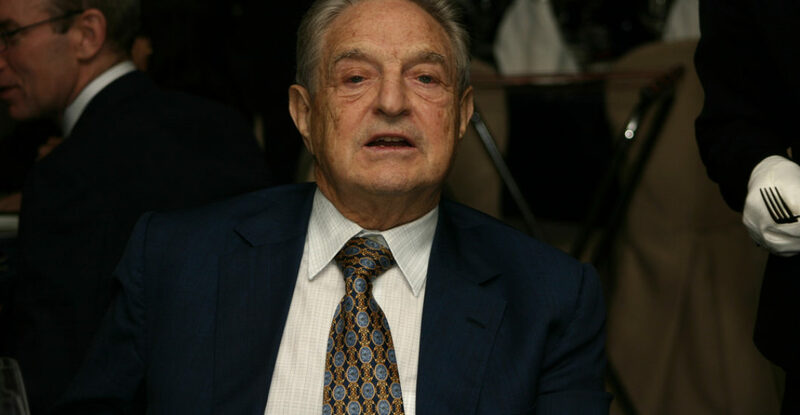 In 2010, it received a two-year contribution of $125,000 each year from George Soros’ Open Society Foundations. ProPublica has attracted attention to the salaries it pays its employees. In 2008, Paul Steiger, the editor of ProPublica, received a salary of $570,000. Steiger was formerly the managing editor at The Wall Street Journal, where his total compensation (including options) was double that at ProPublica. Steiger’s stated strategy is to use a Wall Street Journal pay model to attract journalistic talent. In 2010, eight ProPublica employees made more than $160,000, including managing editor Stephen Engelberg ($343,463) and the highest paid reporter, Dafna Linzer, formerly of the Washington Post ($205,445). Let’s go a step further though. In December of 2017, it was reported that Soros was also funding “journalism” in seven states in the U.S., and lo and behold the Knight Foundation was right there in the midst. “ProPublica, the leftist publication that put out a hit piece tied to the Southern Poverty Law Center attacking the likes of Pamela Geller, Robert Spencer, and Bradlee Dean, has taken millions of dollars from billionaire George Soros, and is now claiming to have chosen propagandists, sorry, journalists, in Louisana, West Virginia, Oregon, New Mexico, Indiana, Illinois and Florida to receive year-long stipends to pursue ProPublica-approved investigations. Seeing that in this year’s hit piece they didn’t even bother to investigate whether the people they attacked were actually guilty of “hate”, I do believe these people hired will be nothing more than propagandists for ProPublica. “ProPublica has received millions of dollars from left-wing billionaire George Soros and other liberal foundations like the Knight Foundation, the Ford Foundation, and the Bill and Melinda Gates Foundation. It began operations in 2008 with a $10 million grant from the liberal Sandler Foundation. The Local Reporting Network project itself was funded by a $3 million grant from an undisclosed donor. The liberal nonprofit outlet initially advertised the Local Reporting Network project in October 2017, calling on newsrooms that wanted to further ProPublica’s goal “to spur change through stories with moral force” to submit proposals for year-long projects ProPublica could fund. The projects were chosen for funding “include conflicts of interest, housing, mental health care, criminal justice, and workplace safety,” ProPublica reported. ProPublica senior editor Charles Ornstein said each selected project “digs deep and holds power to account.” Ornstein will personally work with the selected reporters to guide the forthcoming reports. “The Open Society Institute is one of several foundations funding the Investigative News Network (INN), a collaboration of 32 non-profit news organizations producing what they claim is “non-partisan investigative news.” The James L. Knight Foundation also backs the network and is possibly the most-well-known journalism foundation. Knight President and CEO Alberto Ibargüen is on the board of directors for ProPublica. INN includes the Investigative Reporting Workshop at American University, the liberal web start-up MinnPost, National Institute for Computer-Assisted Reporting, National Public Radio, and the Wisconsin Center for Investigative Journalism. The network had included the liberal Huffington Post investigative operation among its grants, but HuffPo investigations merged with the possibly even more left-wing Center for Public Integrity, on whose board Arianna Huffington sits. Well, isn’t this just like the fox guarding the henhouse? And now, they’re investing in NewsGuard, which claims it’s interested in pure journalism and transparency? I don’t buy it for a minute and you shouldn’t either. This is about control. It’s about censorship at another angle. Put simply, it’s about poisoning the well and demanding the American people listen to NewsGuard rather than being intelligent, discerning human beings themselves. I have always written and linked to sources, provided documentation, video or audio of the subjects I write on believing that those who take in the information have the good sense to do their own homework, to follow it up, to check it, and to then come to their own conclusions. I have always admitted my bias, because I’m guided by the Bible, first and foremost, followed by the Constitution, the law and the truth. These people aren’t interested in any of this. They are interested in doing what they can to undermine the foundations of America and they are using their grasp on media, websites, newspapers and social networks to do it. Is There Reason to Be On Guard over NewsGuard?